When designing boards for customers I get asked about how the tracking should look and what to do. More importantly, this is more about what not to do! Obviously, different customers prefer different routing (or tracking) styles. Fundamentally though, if you obey basic principles and rules, you won't go far wrong. I tend to route everything using the 45 degree routing mode, this is preferred over the 90 degree mode. Not only does it look much better aesthetically but it is much better for manufacturing. In this discussion I've added a quick sentence below about manufacturing pitfalls, because although not directly routing related, does have an impact. So, 45 degree routing for all routing but not long runs. I tend to 'cut' the corners off rather than let the 45 degree angle run across the board. Again, this looks much better on the finished board and also improves real-estate usage on denser boards. As a final note about the mode to use, angled track segments work fine but just look terrible; there's something about a nice looking board to give your customer that extra confidence. Normal routing rules are fairly common sense. Keep tracks as short and as direct as possible and run families of signals (such as busses) together. Create distance between un-associated groups of signals to minimise cross-talk. Try to avoid very thin tracks and always check with your manufacturer first; generally, the smaller the track the more expensive the cost to produce them. In some instances some groups of signals can be run more effectively by 're-ordering' them and back annotating to the Schematic. This can be applied on some busses and on pin-swapping. This can keep the layout pattern more orderly and use less vias as cross-overs. Where high speed designs are being created, the need for 45 degree angled tracks is essential, if not mandatory. On even higher speed designs, Ethernet speed boards for example, you will require the use of curved angles (fillets) instead of 45 degree angles. This is a simple case of switching modes in Easy-PC and then switching back when not finished. I have these set on shortcut keys to speed up the toggling between modes. Remember, high speed tracks require special attention regarding impedance and in the case of differential pairs, differential impedance. Also, the close length matching of each pair must have a continuous un-broken ground reference plane. In Easy-PC these can be defined as a special style and subsequently can have length rules applied where any errors can be reported in the design rule checking. Once your routing mode has been standardised, you now need to be aware of the detail. In detail, I mean observations and rules. As a general rule, wherever possible, try and avoid 'T' junctions completely, but if not, try to use a 'Y' formation rather than a 'T'. Keep the 'Y' junctions to three 120 degree angles and avoid acute angles. Further downstream, this can cause you manufacturing problems where the angle is over-etched. On thin tracks, this can cause problems with PCB yield. Generally on rectangular pads attach the track on the narrow end and do not attach with a track any wider than the pad itself. Since the solder resist mask is normally a few thou larger than the pad, a thicker track can make the pad itself appear distorted. On two pad surface mount components such as resistors and capacitors, ensure again that the tracks at each pad are of the same basic width and smaller or equal to the pad width. If not the thermal difference between the two pads can cause tombstoning during manufacturing. Although manufacturing is pretty accurate these days, there are still tolerances when cutting board outlines. You'll also find some manufacturers work to tighter tolerances and are more (or less) accurate. When adding tracks that run close to the board outline, ensure that you don't get too close, especially when internal layers have powerplanes. Your CAD system will help you with this as you can set a Track to Board Spacing tolerance in the Design Technology. I set mine in the 50 to 100 thou region (1.27mm - 2.54mm) depending on the density of the board. With the Display Clearances switch set on and Online DRC switch set on, routing will work within this tolerance without having to be overly concerned. A brief note about power and ground tracks - obviously, you need to work out whether your track thickness is capable of carrying the current that you require, the Design Calculators in Easy-PC can help you do this. Your manufacturer can help with actual copper thickness if you are unsure. Higher current carrying tracks need to be fatter to carry the required current and to prevent voltage drop over longer track runs. However, as mentioned above, do not continue the track onto the destination pad if its width is greater than the pad, always neck it down to the pad width just before it meets the pad. When a thick track enters the pad ensure that the track is not going to violate the Track to Pad Spacing rule against other pads close to it. The track necking rules you are observing will also help avoid this. In the end, a nicely routed board will help your manufacturers, whoever you decide to use. Where production boards are being produced, there is the extra factor of yield on the board. A high yield is highly desirable, especially where cost is a factor. That means the design for yield and the DFM (design for manufacture) considerations are vitally important. I go back to my earlier comments regarding acute angles of tracks and 'T' junctions, any angle tracks, tombstoning etc., all of these considerations will help you get to a high yield or even better first time yield on prototype boards. Review the board layer by layer, spread any tracks out where there is space and re-route where you see a more sensible route. There's nothing more annoying than a board failure on a prototype board because of poor design! Experience over the years has helped me iron these problems out during my design process, fortunately! 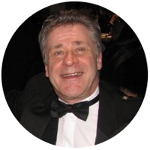 Iain Wilkie is the Managing Director of Wilkie Electronics based in Perth, Scotland. Iain has over 40 years experience in the PCB design industry, many of which have been using Easy-PC.